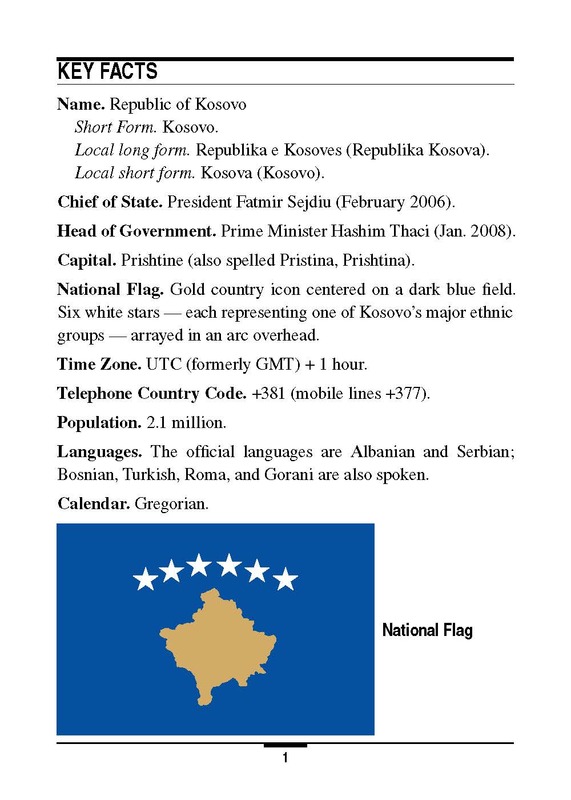 This handbook provides basic reference information on Kosovo, including its geography, history, government, military forces, and communications and transportation networks. 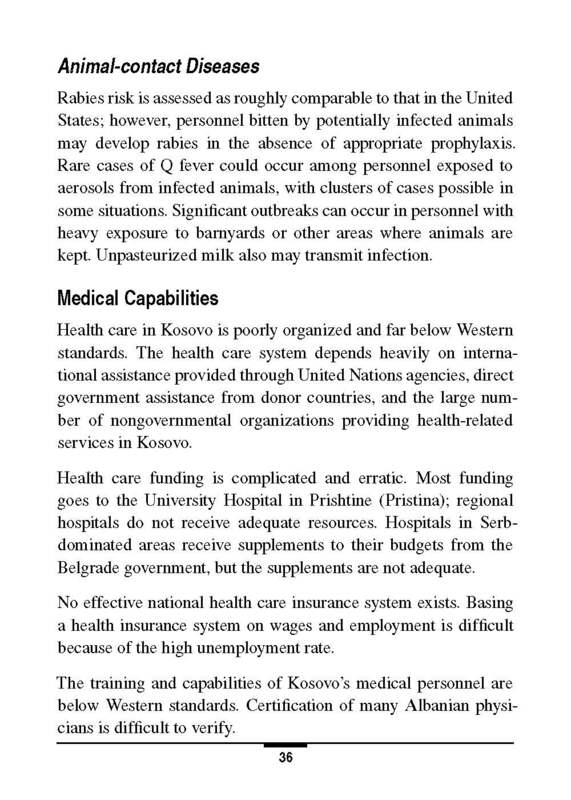 This information is intended to familiarize military personnel with local customs and area knowledge to assist them during their assignment to Kosovo. 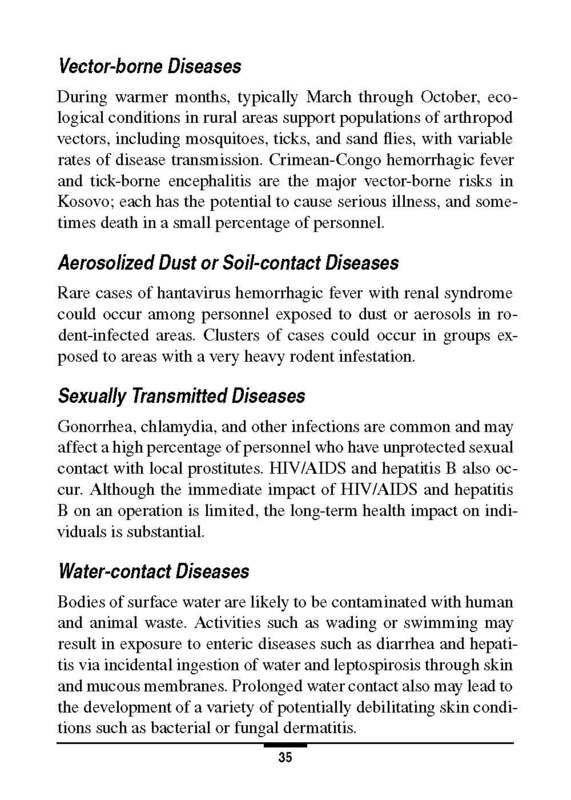 The Marine Corps Intelligence Activity is the community coordinator for the Country Handbook Program. 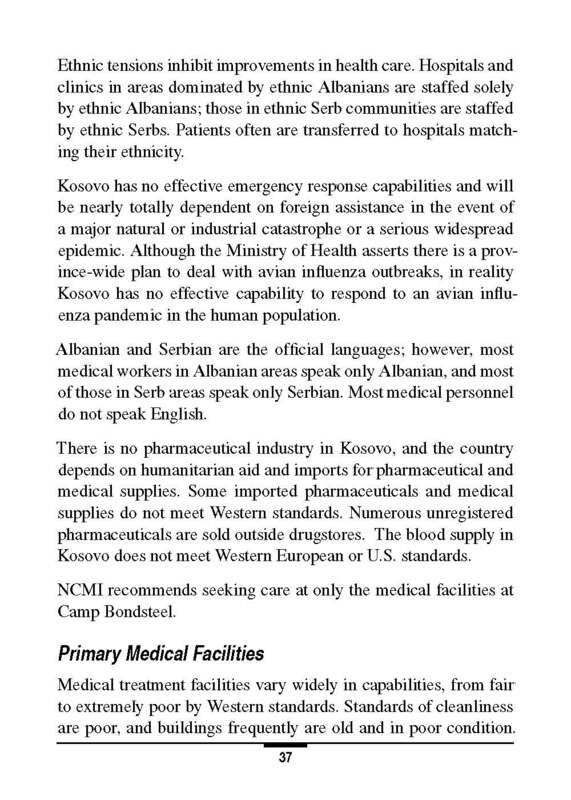 This product reflects the coordinated U.S. Defense Intelligence Community position on Kosovo.